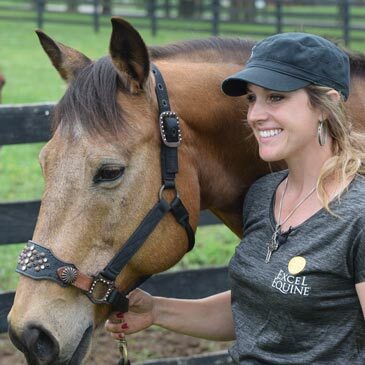 Specialty flooring retailer Greatmats is awarding a series of national awards for athletic instructors as well as animal trainers who have made a positive impact in their respective communities. The national awards are designed to honor those positive leaders in the United States that have made a favorable impact on the lives of their students, clients and community through service, integrity and quality. Click on the contest below to learn how to nominate or vote for someone and see the past winners and nominees for the national awards. In 2018 Greatmats will be accepting nominations in the following categories, starting in October. 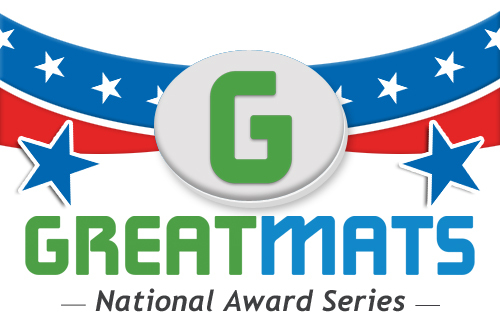 The first of its kind to recognize such a diverse group of individuals for both their positive professional and community influence, the Greatmats National Award Series began in 2015. 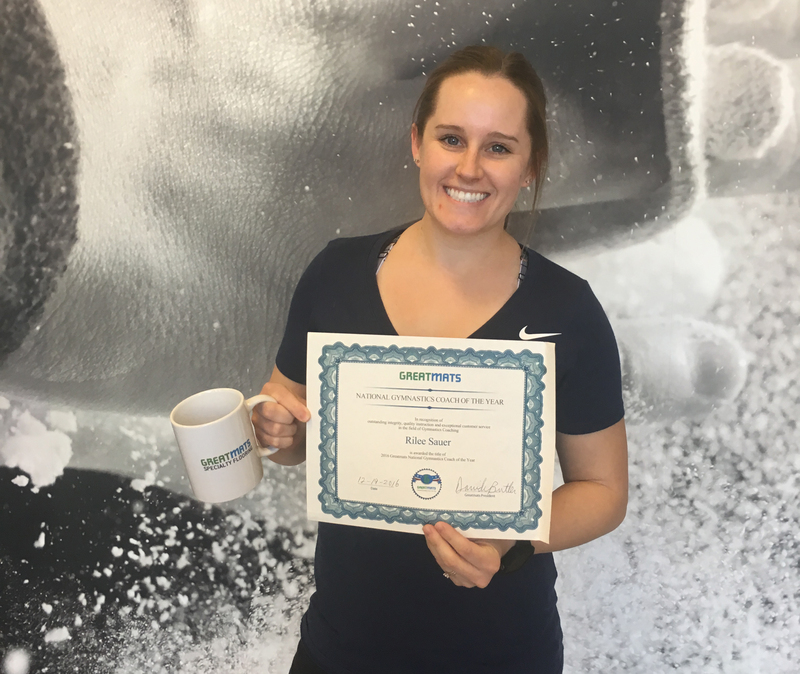 Starting with Dance Instructors, Dog Trainers and Horse Trainers the award series has expanded to include Martial Arts Instructors, Cheer Coaches, Fitness Trainers and Gymnastics Coaches. More than 31,700 votes have been cast to honor these great instructors over the first 3 years of the National Awards Series. Dog agility is a relatively new sport with its first widely documented appearance occurring in 1978 at a dog show in the UK. John Varley, a committee member, was given the task of entertaining the audience between obedience and conformation competitions in the main ring. He created a sort of obstacle course based on some things he’d seen in the equestrian world as well as a few things he had seen dogs do at a fair. From there, the popularity of these obstacle courses grew and evolved into a full-fledged sport. 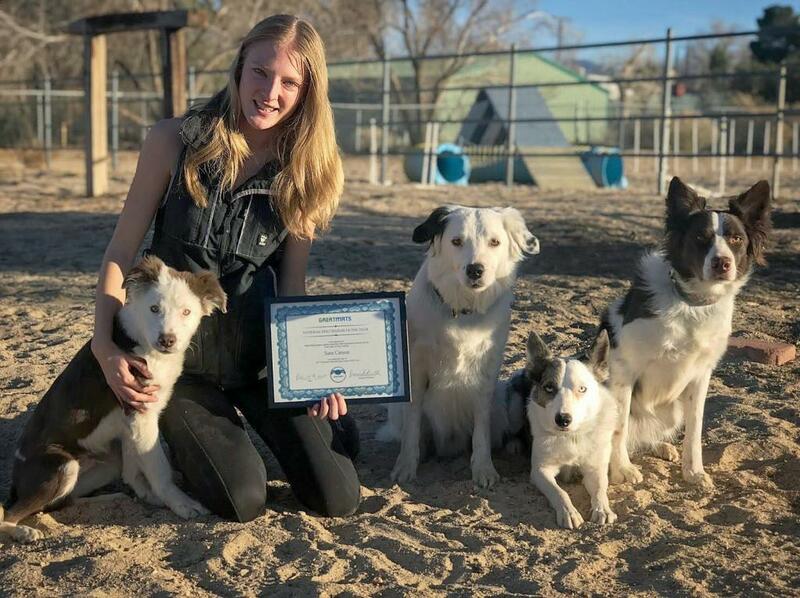 Today, dog agility is an international pastime with many different sanctioning organizations and competitions worldwide. As any dog agility trainer will tell you, training canines in dog agility requires the right equipment. At Greatmats, our foam dog agility mats are the best product available for you and your dogs. They are made of a high-density EVA foam that is rugged and lightweight. It provides a cushioned surface that is great for running and jumping on but is also dense enough to not be squishy or unstable. These foam tiles are double sided and in-line reversible. They require no adhesive to install and the tight fitting, interlocking foam mats leave no tripping hazards. Because they don’t require a glue-down installation, this foam flooring is portable so you can bring it anywhere you’d like. Tiles are waterproof which is convenient when the weather turns bad. Each tile measures 40”x40” so they are large enough to piece your floor together quickly yet light enough to bring them with you when it’s time to relocate. 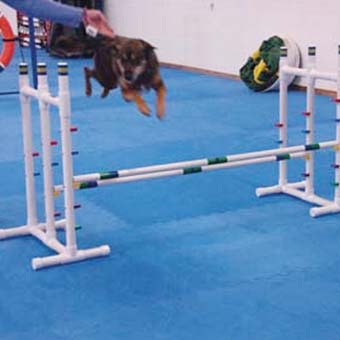 Greatmats Dog Agility Mats have a felt-top surface texture that provides excellent traction. The non-slip surface provides a safer surface for you and your animals and also an element of fatigue relief that is ergonomically better for joints and muscles than many harder surface types. (Your knees will appreciate them as much as your dogs will.) The tiles are lead and latex free. Custom colors are available and these interlocking foam tiles typically ship from our warehouse in 1-3 days. If this particular foam mat is not exactly what you need for your application, please consider one of our other foam mats. We offer a complete and comprehensive line of interlocking foam mats with some starting as low as 99 cents per square foot. Some of our foam mat products are available with free shipping.